You made a noise and they listened! It just goes to show how a bit of gentle pressure can get you the products you want for your kids, especially when they work so well for adults. We featured the very comfy House Shoes in September last year and thanks to some vocal people, they are now being made in children’s sizes! These soft, squishable slipper-shoes will be comforting tired parental feet and energetic little tootsies all winter long in 2010. 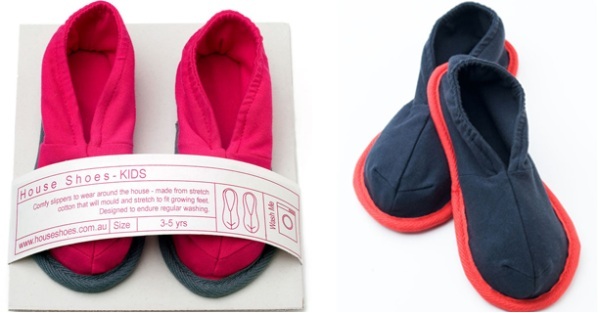 Priced at $34.95, they’re available in sizes to fit 3-5 years and 6-8 years, from Solz House Shoes.